Argonne pioneered the development of fast neutron reactors and is a leader in their development worldwide. These reactors run on the fast neutrons from fission; the term is generally shortened to “fast reactors”. Although there are currently very few of them operating, they will ultimately prove vital to extending the world's uranium and thorium energy supplies to tens of thousands of years and to removing the long-lived radiotoxicity from used nuclear fuel. Designing reactors is just like designing cars – it takes information from both computer codes and experiments for engineers to produce a robust, safe, effective design. The experimental facilities below provided much of the data that Argonne and other organizations used in the 20th century and use today to design fast reactors. 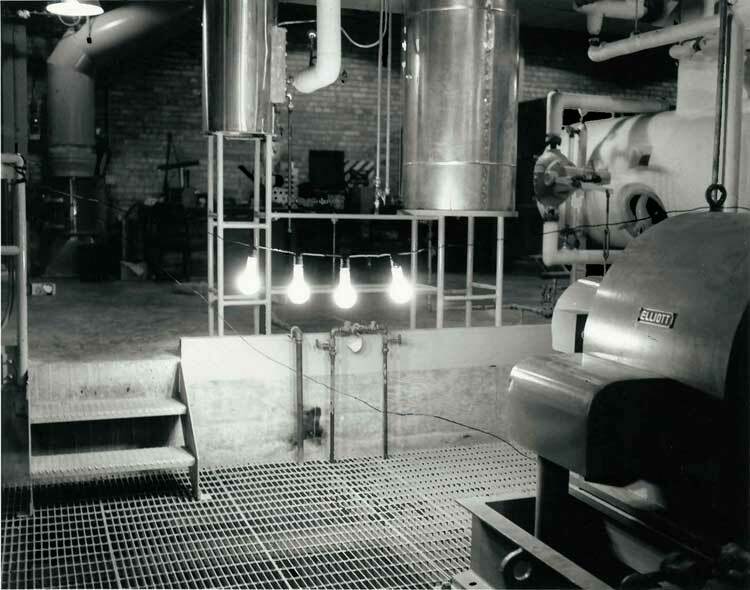 The ZPR and ZPPR facilities provided self-sustaining chain reaction physics experiments, but at a power so low that no cooling was needed – hence the term Zero Power Reactor (ZPR). Argonne performed hundreds of sets of such experiments. When an atom in a nuclear reactor fissions, neutrons are released at high energy (fast speeds). In thermal reactors (nearly all current commercial ones) the fission neutrons are slowed down to low (thermal) energies by collisions with light atoms within the reactor – hydrogen in the water in water-cooled reactors, deuterium in heavy water (D2O) in heavy water cooled reactors, or carbon in the graphite in gas-cooled reactors. Most of the neutrons in these reactors slow down to low speeds before they have a chance to cause subsequent fissions by colliding with fissile nuclei, usually U-235. In a fast reactor, however, the fission neutrons are not slowed down and instead cause fissions by colliding with fissile nuclei at high energy. This is important because more neutrons are released from fissions caused by high-energy neutrons than from fissions caused by thermal neutrons. Although each fission reaction in a reactor destroys one fissile atom, fissile atoms can also be created when a neutron is captured in a reaction with a fertile atom, usually U-238. Fast reactors can destroy, by fission, the materials (plutonium, americium, curium, etc.) that make used nuclear fuel radioactive for longer than hundreds of years. These elements fission quite well when they collide with fast neutrons, whereas they fission far less or not at all when they collide with thermal neutrons. Thus, these materials operate as fuel in fast reactors, instead of functioning as waste products, as they do in thermal reactors. This feature of fast reactors makes the used fuel disposal problem far simpler by using the longest half-life parts of the waste as an energy resource. Fast reactors can radically extend the world’s uranium resources. In a fast breeder reactor, extra U–238 is added so that more fissile atoms are created than are destroyed by fission. The additional neutrons from fast fissions make this possible. This means that essentially all of the original uranium ore (which is 99.3% U-238 and 0.7% U-235) can be used as reactor fuel in a fast breeder reactor. In contrast, only approximately 1% of the original uranium is consumed in a thermal reactor. There is a vast supply of U-238 in the material leftover from making fuel for thermal reactors and weapons in the US since 1944. The electrical energy production potential of fast breeder reactors using just these leftovers is enormous -- enough to supply the US's electrical requirements for many hundreds or thousands of years. The more efficient consumption of uranium in fast reactors also means that lower grade uranium ores can be economically used, expanding the energy resource further. Outside view of ZPR-3. Click on photo to view a larger image. Zero Power Critical Reactor No. 3 (ZPR-3) was designed and operated for the Atomic Energy Commission (AEC) by Argonne National Laboratory -- the first and smallest of the split-table critical facilities used to investigate the physics properties of enriched uranium- or plutonium-fueled fast reactors. It was used to perform critical reactor experiments for the Enrico Fermi fast reactor in which Argonne scientists and engineers assisted in the data analysis. Subsequent experiments on ZPR-3 were directed at all aspects of fast reactor physics. 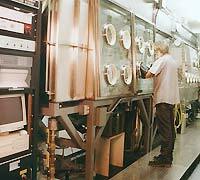 The facility provided a method for using experimental mock-ups to determine the accuracy of the calculated properties of small fast reactors. In particular, properties such as critical mass and geometry and power distributions for different fast reactor variations were determined using ZPR-3 mockups. Experimental critical assembly results in this field were almost completely lacking before the advent of the ZPR-3 facility in October, 1955. Sixty-three different reactors were tested in the ZPR-3 facility before the larger ZPR-6 and ZPR-9 facilities became available in 1963-64. The critical assembly machine is basically a platform on which two tables or carriages are mounted, one of which is movable. Half of the assembly is built up on each carriage by means of a matrix structure. Trays in each matrix location are filled with fissionable material and other metals to permit the simulation of various reactor types and configurations. The movable carriage allows the assembly to be split in half, both as a safety measure and for convenience in loading. Criticality is achieved when the two halves are brought together and the control rods suitably positioned. The two halves of the ZPR-3 reactor core. These are joined to make the nuclear fissioning begin. Click on photo to view a larger image. Eventually the ZPR-3 experiments were terminated and the program was transfered to the larger and more flexible facilities, ZPR-6, ZPR-9 and ZPPR. The ZPR-3 core is currently avaliable for public view at the EBR-I site. J. Morman and R. Bucher load samples into the ZPR-6 critical assembly for material worth measurements. Click on photo to view a larger image. 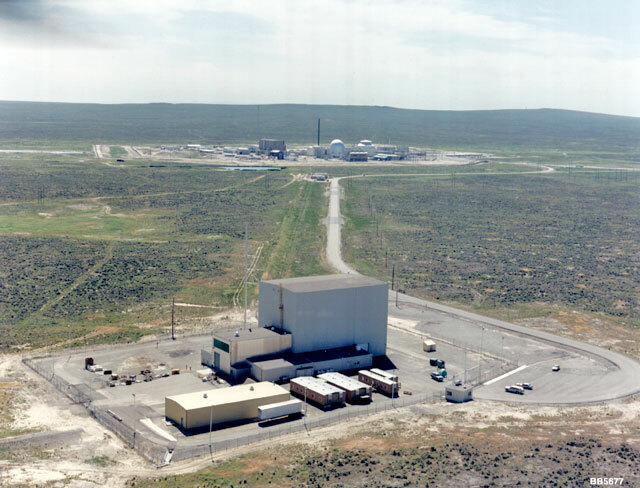 ZPR-6 was a split-table reactor physics critical facility larger than ZPR-3, used to mock up a variety of fast reactor designs to ensure that the computing methods and data used for fast reactor designs were accurate. There were nine major reactor design experiment campaigns, each with its own series of experiments. Each experiment in a series involved slightly different reactor cores with a wide variety of measurements, such as critical configurations, reaction rate distributions, reactivity worth distributions for various materials, control rod worths and kinetics properties such as βeff. 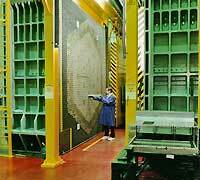 The most important of these were the Diagnostic Cores -- large, simple reactor cores with either uranium carbide, uranium oxide, or plutonium oxide fuels. These measurements provided data used in the testing of the various fast reactor design and analysis computer codes and methods. The clean, simple designs of these assemblies made geometric modeling of them easier, so that errors due to modeling and analysis were minimized. As a result, it was easier to identify problems in the nuclear data. There were 9 major assemblies on ZPR-6, and it operated from 1963 to 1982. ZPR-6 began operation on July 1, 1963. ZPR-9 was a reactor physics critical facility similar to ZPR-6 used to construct fast reactor configurations aimed at specific fast reactor designs. The focus of the ZPR-9 program differed from that of ZPR-6 in that it was used to obtain data on possible fast rector designs. Several candidate nuclear rocket designs were tested using ZPR-9 mockups, and a detailed engineering mockup of the Fast Test Reactor (part of the Fast Flux Test Facility built in Washington State) provided the data used to design and build the reactor. 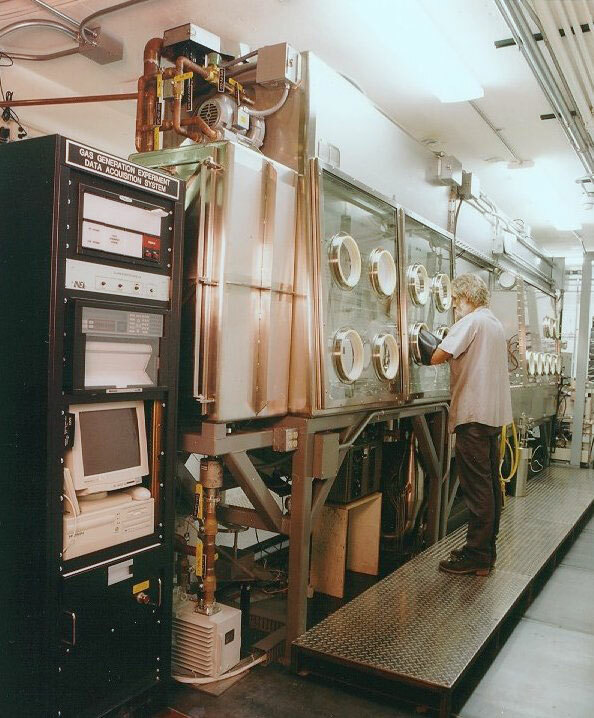 FFTF established a world record for fuel performance, produced high-quality rare radioisotopes for medicine and industry, provided data for fusion programs, and demonstrated some aspects of fast breeder reactor technology. There were also several assemblies investigating gas-cooled fast reactors. These experiments were a cooperation with the General Atomics company. Several additional configurations were designed to emphasize specific fast reactor physics properties with the aim of obtaining data useful in understanding discrepancies between the measured values of fast reactor physics properties and the values obtained from the calculation of these properties. 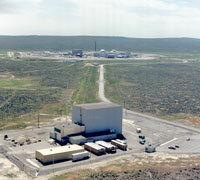 Other experiment campaigns performed criticality safety benchmarks in cooperation with the Nuclear Regulatory Commission. These continue to be used to validate computer codes and nuclear data used in criticality safety calculations. There were 35 major assemblies on ZPR-9, and it operated from 1964 to 1981. ANL-NT-175 (April, 2001) [5.8MB] — Report featuring detailed descriptions of all the ZPR-9 assemblies, also contains an extensive bibliography of technical reports that detail the results of all the experiments on ZPR-9. An outside view of EBR-I. Click on photo to view a larger image. 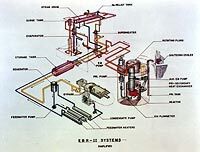 The Experimental Breeder Reactor-I (EBR-I) was the first liquid metal cooled fast reactor and it was the first reactor built on the National Reactor Testing Station (NRTS) in Idaho. It was fueled with uranium metal pins. The reactor was designed, built, and operated by Argonne National Laboratory. EBR-I was initially designated CP-4, but was casually known as “ZIP” (Zinn’s Infernal Pile). The EBR-I represented a departure from weapons research. Argonne concentrated on developing peaceful uses of the atom, especially in nuclear power plants. Argonne-West was established in Idaho to test designs and theories developed at Argonne-East in Chicago. 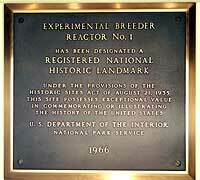 EBR-I's primary mission was to develop and test the concept of a nuclear breeder reactor. The idea behind the breeder was to maximize the useful energy that can be obtained in natural uranium. Light bulbs lit by the world's first electricity generated from atomic power. Click on photo to view a larger image. 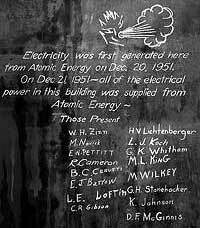 Chalkboard depicting first atomic electricity. Click on photo to view a larger image. EBR-I ushered in a new era in nuclear history when it became the first reactor to generate useable amounts of electricity from nuclear energy. It accomplished this feat on December 20, 1951 by lighting four light bulbs. The next day, EBR-I's output was boosted to 100 kW(e). From that point until its decommissioning in 1964, EBR-I was able to generate all of the electricity for its building, which it often did. 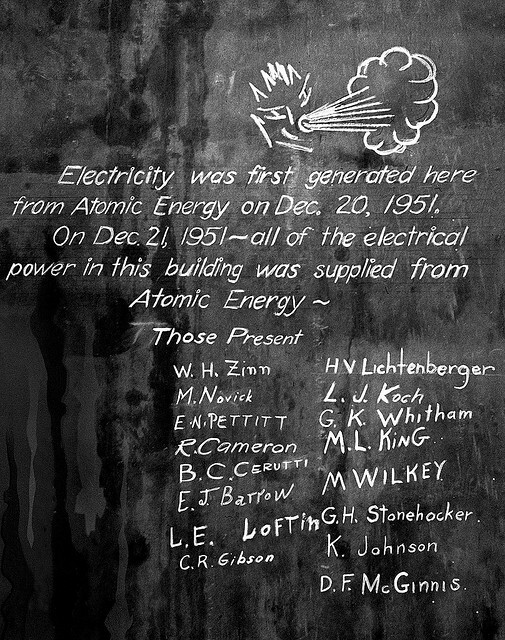 Staff members of Argonne National Laboratory who were present when the first power was generated recorded their historic achievement by chalking their names on the wall beside the generator. 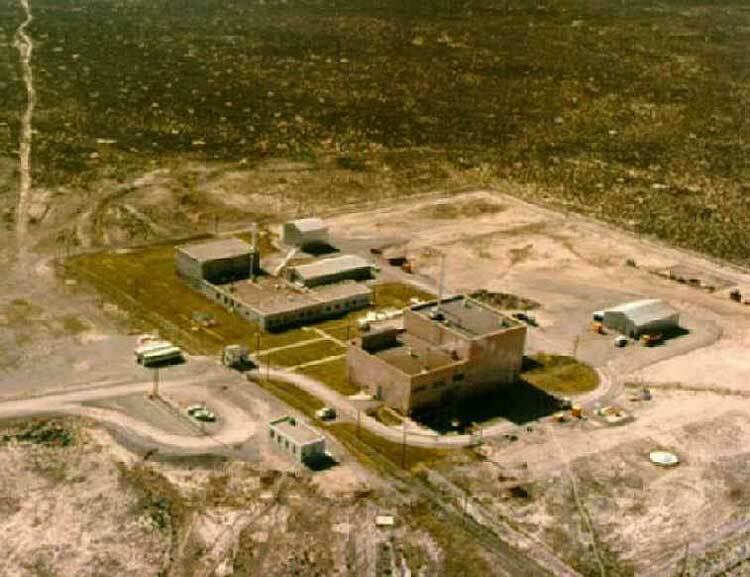 On June 4, 1953, the US Atomic Energy Commission (AEC) announced that EBR-I had become the first reactor to successfully breed plutonium from uranium. This was another breakthrough, because Uranium-238, the most common form of uranium, can't be used in the fission process. However, Plutonium-239, which is produced by the breeding process, can be fissioned. By breeding plutonium in this way, more atoms of fuel are created by the reactor than are used. This process makes it possible to utilize almost all of the uranium found in nature. 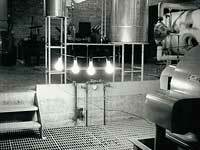 On November 27, 1962, EBR-I became the first reactor to produce electricity from a plutonium core. Experiments conducted over the next year provided valuable data on breeding in a plutonium-fueled reactor and helped scientists in their understanding of plutonium behavior in an operating reactor. Plaque declaring EBR-I a historic Monument. Click on photo to view a larger image. On Aug. 26, 1966, President Lyndon B. Johnson presided over ceremonies that designated the retired EBR-I reactor a Registered Historical National Monument. Before 15,000 witnesses, he said, "We have come to a place today where hope was born that man would do more with his discovery [of atomic fission] than unleash destruction in its wake." 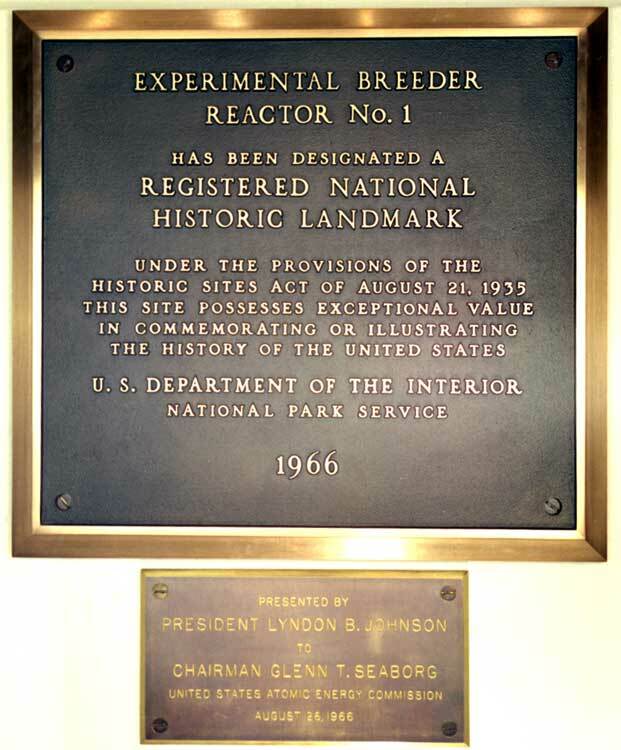 The plaque pictured right was installed by President Johnson and Dr. Glenn T. Seaborg, the chairman of the U.S. Atomic Energy Commission, designating EBR-I a National Historic Landmark. In 1973, a plan was agreed upon to open EBR-I to the public. After thorough cleaning, decontamination, removal of materials, and other safeguarding of the facility, the public was allowed to tour the facility. The decontamination was finished by the end of May in 1975, and the EBR-I opened to the public for the first time on June 14 of that same year. Free guided tours are available during the summer months. EBR-I helped spawn a huge international industry that now plays a major role in meeting the world's energy needs. Today more than 100 nuclear power plants provide 20 percent of the electricity consumed in the United States. More than 435 reactors provide some 17 percent of the world's electricity, and about 65 more plants are under construction around the world. President Johnson's words proved prophetic in December of 1996, when the U.S. Department of Energy announced plans to use excess weapons plutonium in the form of mixed oxide (oxides of plutonium and uranium, or MOX) reactor fuel to generate nuclear electricity. Leonard Koch joined Argonne National Laboratory in 1948. He helped design and build Experimental Breeder Reactor-1 (EBR-1), the first reactor to generate useable amounts of electricity from nuclear energy. Experimental Breeder Reactor II. Click on photo to view a larger image. The Experimental Breeder Reactor-II (EBR-II) was originally designed and operated with emphasis on demonstrating a complete breeder-reactor power plant with on-site reprocessing of metallic fuel. This was successfully done from 1964 to 1969. During that five years, the reactor's Fuel Cycle Facility processed 35,000 fuel elements, produced 366 subassemblies, and assembled 66 control and safety rods. The facility was then converted from a breeder to a burner reactor. The new missions emphasized testing fuels and materials for larger, liquid metal reactors. EBR-II was the backbone of the U.S. breeder reactor effort from 1964 to 1994, when research was terminated. The EBR-II accommodated as many as 65 experimental subassemblies at one time for irradiation and operational reliability tests. EBR-II also performed over 30,000 irradiation tests. 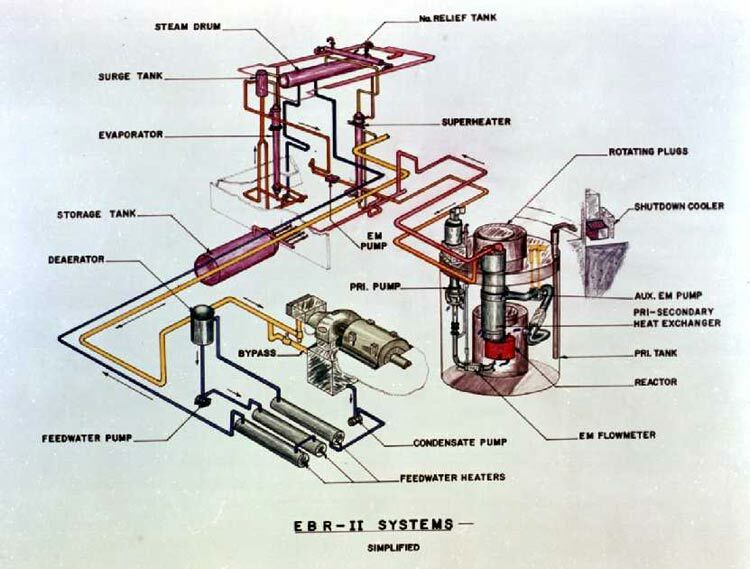 Most recently, EBR-II was the prototype for the Integral Fast Reactor (IFR). One feature new to the EBR-II was its pool-type design. Simply put, the reactor core, its fuel handling equipment, and many other systems of the reactor were submerged under molten sodium. This type of design had many benefits, including simplified design and construction, reduction of thermal stress, elimination of some heavily shielded external facilities, and, most importantly, increased safety. Simplified EBR-II schematic. Click on photo to view a larger image. The pool-type design, combined with its metal alloy fuel, made the EBR-II passively safe. That is, the reactor could safely shut down, without operator assistance, even if safety systems had failed. This safety feature was not dependent on control rods or computer monitoring, but on the laws of physics. This reliance on natural physical properties is the ultimate backup safety system for a nuclear power plant. This would make nuclear incidents, such as those that occured at Three Mile Island and Chernobyl, nearly impossible to duplicate. This was demonstrated in 1986, when EBR-II underwent a series of IFR safety tests. These tests simulated accidents involving loss of coolant flow. Even with the normal shutdown devices disabled, the reactor safely shut down without reaching excessive temperatures anywhere in the system. 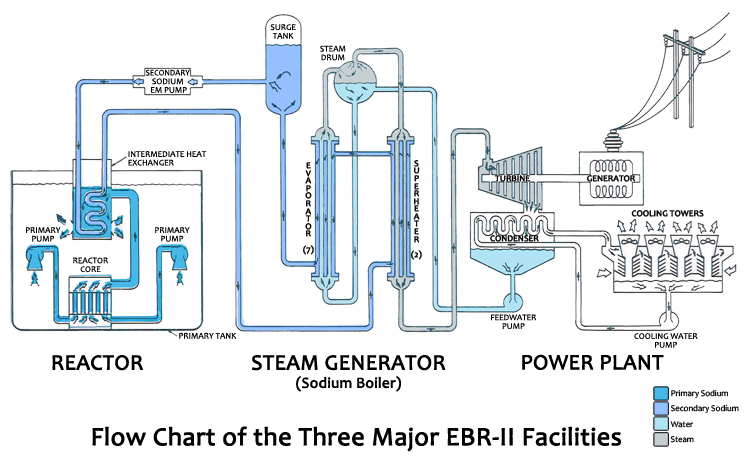 Flow chart of the three major EBR-II facilities. Click on photo to view a larger image. 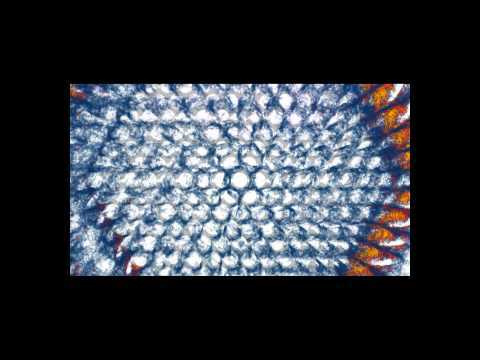 The application of current computer technology for advanced diagnostics techniques and control. EBR-II stopped operations in 1994 when it lost federal funding. The tests and experiments that have been conducted in EBR-II have contributed heavily to national and international reactor technology, especially FBR (Fast Breeder Reactor) technology. 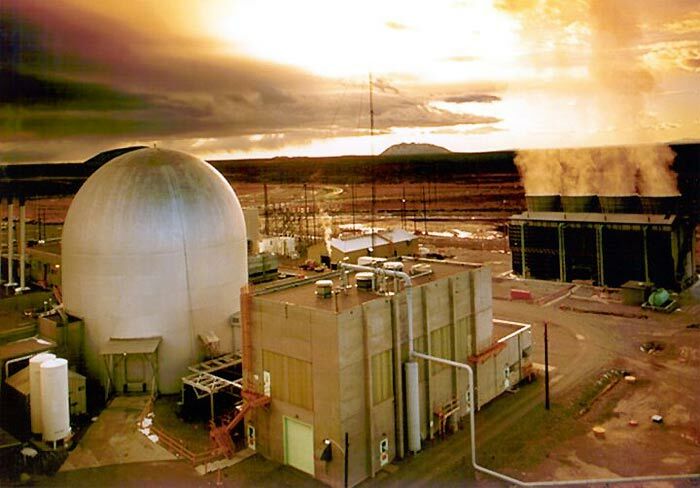 During a ceremony held December 14, 1995, EBR-II was declared a Nuclear Historic Landmark by the American Nuclear Society (ANS). According to ANS's executive director James Toscas, "EBR-II is arguably the most successful test reactor ever." He also called EBR-II "a research leader for the world," citing that many countries have copied its pool type design, with great success." 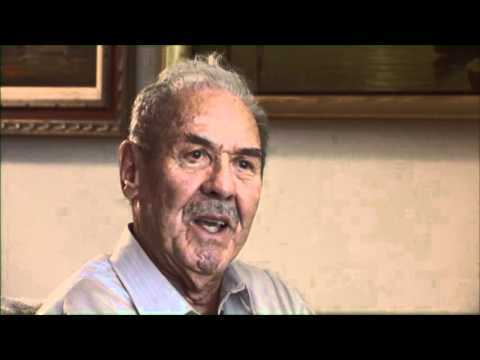 Historical video about the EBR-II Fuel Facility from Argonne National Laboratory. Visualization of a Nek5000 simulation. An outside aerial view of TREAT. Click on photo to view a larger image. TREAT (Transient Reactor Test Facility) is an air-cooled test facility designed to evaluate reactor fuels and structural materials under accident conditions in nuclear reactors. The TREAT fuel was uranium impregnated graphite blocks. TREAT was used to study fuel meltdowns, metal-water reactions, interactions between overheated fuel and coolant, and the transient behavior of fuels for high-temperature systems. TREAT's purpose was to simulate accident conditions leading to fuel damage, including melting or vaporization in test specimens, while leaving the reactor's "driver" fuel undamaged. 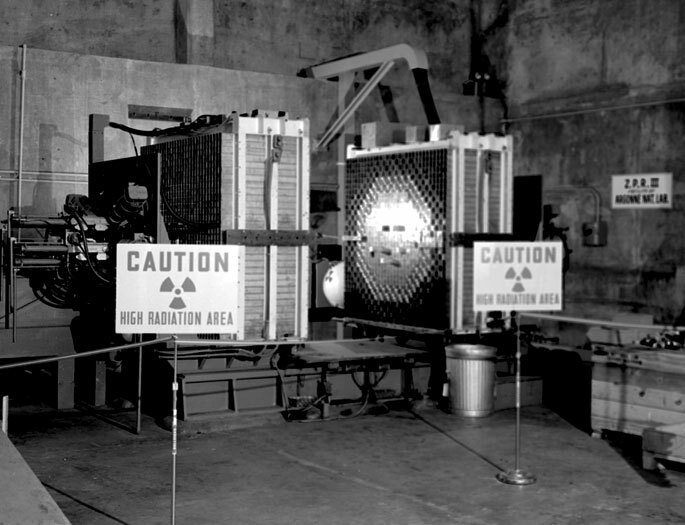 In its steady-state mode of operation, TREAT was also used as a large neutron-radiography facilitiy and could examine assemblies up to 15 feet in length. Construction of TREAT started in February 1958 and finished in November of 1958. 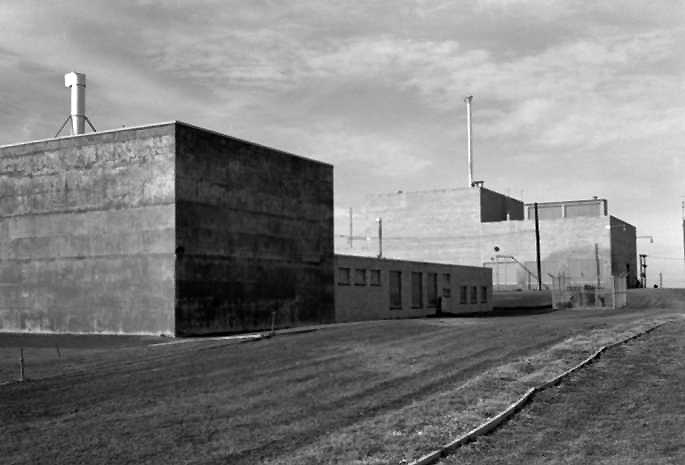 The reactor first achieved criticality on February 23, 1959. Major reactor building addditions were made in 1963, 1972, and 1982. In 1988, the reactor also underwent a major upgrade, which included installation of new instrumentation and control systems, and refurbishment of the rod drive systems. The reactor was operated from February of 1959 until April of 1994, generating over 720 megawatt-hours of energy. 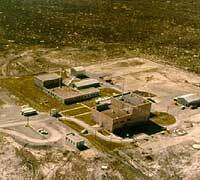 The Transient Reactor Test Facility achieved first criticality Feb. 23, 1959, at Argonne-West in Idaho. It was used to study the effects of simulated reactor accidents on fuel and components. Click on photo to view a larger image. The TREAT facility's easily accessible core accomodated a wide variety of experiments. There was a large range of utility support, neutron radiography facilities, and plenty of room for experiment support equipment. 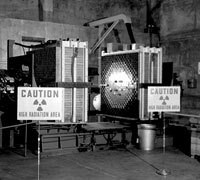 TREAT's computer and control system was designed so that it could simulate a "run" before an experiment. This provided a check on the control system, and more importantly, provided a high degree of confidence that the transient would run as planned with a high degree of reproducibility. TREAT also included unique shielded viewing slots on two of the reactor faces. Both optical and gamma camera systems were developed for use with these two slots, so that reactive mechanisms taking place in samples could be recorded on film for detailed study. The ZPPR as viewed from the outside. Click on photo to view a larger image. 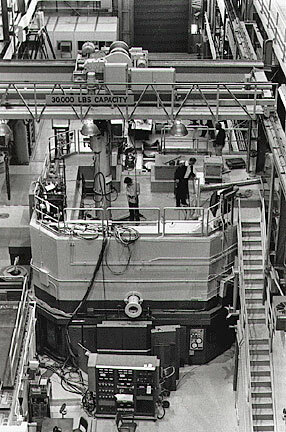 The Zero Power Physics Reactor (ZPPR) was the last and largest in a series of Zero Power Reactor (ZPR) critical facilities designed, built, and operated by Argonne National Laboratory. These facilities were used to test nuclear reactor physics design analytical tools and nuclear data relevant to advanced reactor designs. The purpose was to construct critical assemblies that closely resembled various fast reactor designs and then use the experiment results to validate and refine the data and computational methods used to design large fast reactors. The operating power was low enough that no reactor cooling system was required. Argonne had a very large inventory of critical facility materials that could be assembled in various combinations to construct any reactor within just a few weeks. Because of the very low reactor power, the materials became only slightly radioactive, and could therefore be used again and again. This feature, combined with the short time required to assemble a core and the absence of a cooling system, meant that nuclear reactors could be built and tested in ZPPR for about 0.1% of the capital cost of construction of the whole power plant. ZPPR's versatility was demonstrated during a three-year period in the mid-1980's when four diverse reactor cores were tested; a 10 MW(e) uranium-fueled military emergency power reactor, a 330 MW(e) uranium and plutonium version of an Integral Fast Reactor(IFR) design, a 0.3 MW(e) uranium-fueled space reactor, and a 700-1100 MW(e) plutonium fueled breeder reactor. 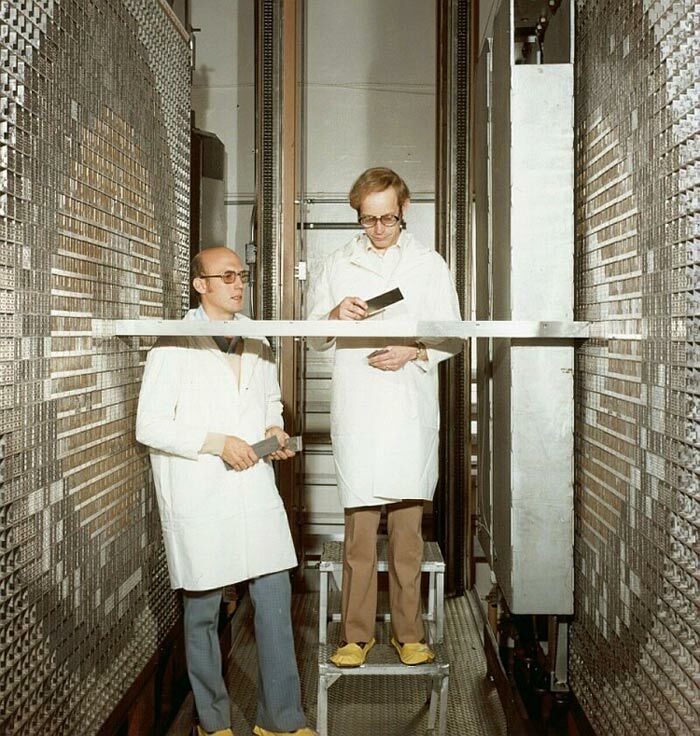 During its critical operations from 1969 to 1990, ZPPR generated large quantities of high-quality experimental data that was used to demonstrate and improve confidence in Argonne’s analytical nuclear design codes and methods, and in the nuclear data used in those codes and methods. 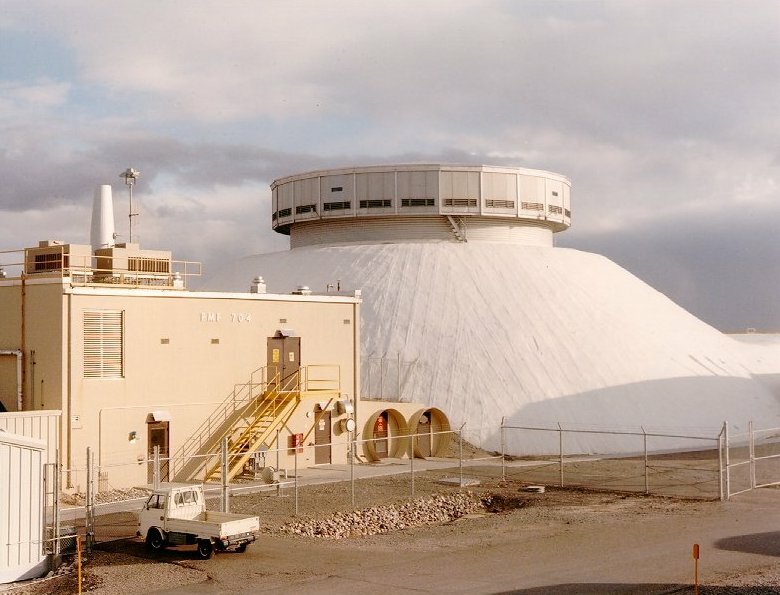 In 1990, it was placed in a standby shutdown state by Argonne National Laboratory and was ultimately transferred to the newly established Idaho National Laboratory in 2005. The two halves of the ZPPR critical assembly, split apart during shutdown. Click on photo to view a larger image. 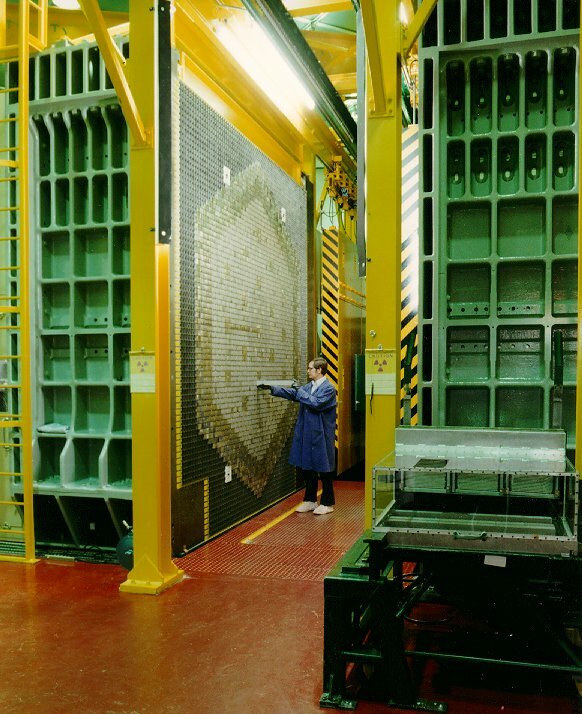 The facility's central device was a split-table, with each half supporting a 14' x 14' x 10' stainless-steel honeycomb matrix of rectangular openings for steel drawers containing plates of the materials (fuel, coolant, structure, control rod materials) that in the aggregate approximate the materials in the reactor to be studied. To provide the environment for precise measurements as well as the capability to meet stringent safeguards requirements, the tables were ultra-stable. One table was fixed and the other moveable so the two halves could be split apart between experiments. For each experiment, the drawers of reactor materials were loaded into the arrays and the tables were then brought together by a very slow-moving worm gear drive until both halves together achieved critical mass and a self-sustaining neutron chain reaction developed. When this occurred, the system was said to be “critical”, which for a reactor is generally the desired state. The entire assembly was located in a shielded vault that was closed during operation but opened up while setting up and dismantling experiments. ZPPR was used to obtain a large amount of very detailed data on a variety of full-scale reactor configurations including large, commercial-sized fast reactors with powers of up to 1200 MW(electric). There were 21 major assemblies, most of which had several major variants (e.g., beginning of cycle, middle of cycle, end of cycle, various control rod positions, etc.). The experiment campaigns included several large plutonium reactors, engineering mockups for both major design concepts for the Clinch River Breeder Reactor (CRBR) designs, larger fast reactor designs as part of the JUPITER collaboration with Japan, the SP-100 space reactor, and assemblies supporting the Integral Fast Reactor Design. Each critical assembly was the same size and shape and had all the gross physical characteristics of the reactor that was being designed. The masses of all the materials were close to the design quantities. Only on a scale finer than two inches, the typical distance that a neutron travels between collisions, were there any differences. ZPPR-1 (1969), a simplified version of the Fast Test Reactor, aimed at providing design support. 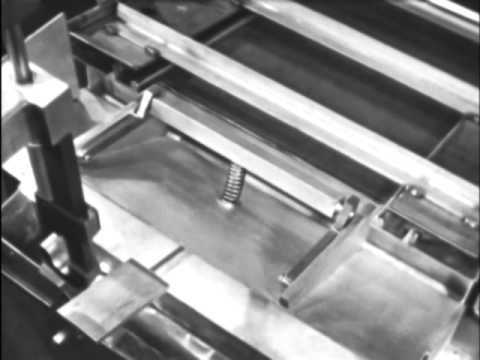 ZPPR-2 (1970-72), a physics benchmark assembly. ZPPR-3 (1972), an engineering benchmark assembly mocking up a more realistic reactor layout with control elements. ZPPR-4 (1973-75), a two-zone hexagonal core with control rods, also used for breeding ration measurements. ZPPR-5 (1975-76), a more accurate mockup of the Clinch River Breeder Reactor (CRBR) core, used to study sodium voiding and fuel slumping. ZPPR-6 (1976), a second engineering mockup core for CRBR, with thicker reflector, used to set initial core fuel and control enrichments. ZPPR-7 (1976-77), the first of the radially heterogeneous CRBR engineering mockup. ZPPR-8 (1977-78), used to study thorium fuel cycle in CRBR. 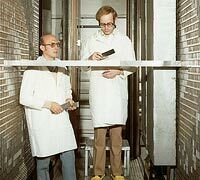 ZPPR-9 (1978), physics benchmark core for a 700 MWe fast reactor, part of the JUPITER-I Program, a cooperation between Japan’s Power Reactor and Nuclear Fuel Development Corporation and Argonne/USDOE. 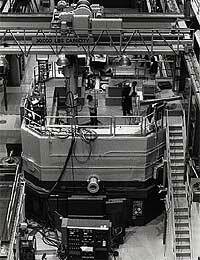 ZPPR-10 (1978-79), an engineering benchmark for 700-900 MWe conventional fast reactor designs, part of the JUPITER-I Program. ZPPR-11 (1980-81), an engineering mockup core for the final CRBR heterogeneous design. ZPPR-12 (1981-84), clean physics core to study CRBR fuel neutronic properties. ZPPR-13 (1982-84), a large radial heterogeneous core, part of the JUPITER-II Program. ZPPR-14 (1985), a small (10MWe) beryllium oxide reflector-controlled assembly. ZPPR-15 (1985-86), a metal fuel physics benchmark related to the Integral Fast Reactor (IFR) Program. ZPPR-16 (1986), a simplified mockup of the 300 kWe SP-100 Space Power Reactor design. ZPPR-17 (1987), a large, axial heterogeneous benchmark, part of the JUPITER-III program. ZPPR-18 (1987), engineering benchmark for a very large (1200 MWe) fast reactor for JUPITER-III. ZPPR-19 (1988), ZPPR-18, but with a focus on eigenvalue separation and spatial flux sensitivity. ZPPR-20 (1988-89), a detailed, complex mockup of the SP-100 100kWe space reactor. ZPPR-21 (1990), criticality studies for IFR fuel types during the IFR fuel cycle. The gas generation experiment inside the ZPPR building. Click on photo to view a larger image. Since 1990, the facility has been used for a number of projects including the Gas Generation Experiment. 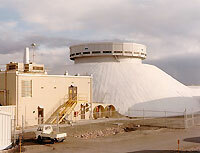 The Gas Generation Experiment was designed to verify that waste going to the Waste Isolation Pilot Plant (WIPP) will not decompose into gases which could compromise the integrity of the repository. ANL-NT-175 (April 2001) [5.8MB] — Report featuring detailed descriptions of all the ZPPR assemblies, also contains an extensive bibliography of technical reports that detail the results of all the experiments on ZPPR.